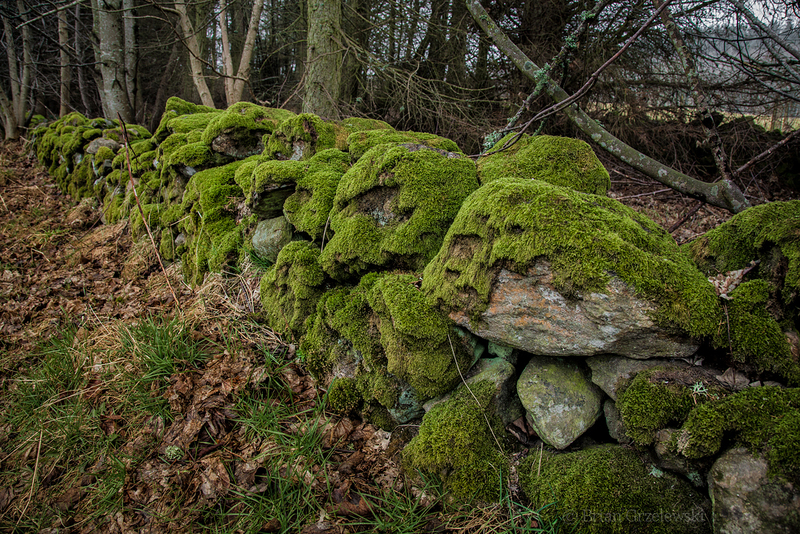 One of the cool things here in Scotland is the abundance of these old stone walls. They are fences around properties really. You can see them in my other recent pictures (http://adventureswithandrea.com/2013/03/a-sign-of-winters-end/ and http://adventureswithandrea.com/2013/03/misty-morning-walk/). They seem like they’ve been here for centuries. And with the moist climate here, the moss gives them a distinctive soft green covering. Thanks for stopping by. And, thanks for your nice comments.